People who sing together breathe together. Our hearts synchronize and beat together. For singers, the act of making music is an aerobic activity. It's also an ice breaker. People who sing together feel connected to each other. They feel a sense of belonging. They feel connected to life, their fellow singers, and the city we live in. Song sheets provided. Hard drinks and soft drinks available for purchase. Pizza courtesy of Dayton’s Original Pizza Factory. Newcomers, choral ninjas, and all ages welcome! $5 admission at the door. Seasons of Love from the Broadway musical Rent! It was chosen by a vote from the Sing Dayton community. If you’d like to add your voice to the next song poll, subscribe to the Sing Dayton e-newsletter. 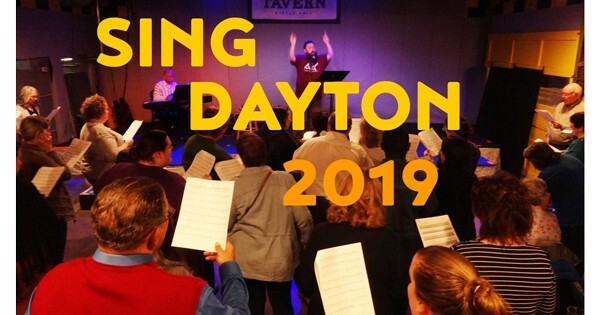 Find more events like "Sing Dayton 2019"
We bring awe-inspiring choral singing to the Dayton Ohio region. We perform masterpieces rarely heard in the area, and our concerts celebrate seven centuries of classical and contemporary music.